Christmas comes early for Patrick and Mike. 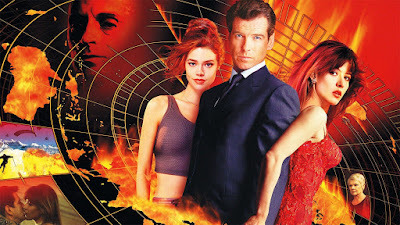 I think Tomorrow Never Dies is my favorite Pierce Brosnan Bond film if I had to narrow it down to one. I think it's very underrated. I really need to revisit it. It's the one I remember the least of his four. I WANT Die Another Day to be the one I remember the least, so I'll have to correct this. Die Another Day has Michael Madsen. I feel like collectively we haven't spoken about that enough as a society. My love for TWINE has gone from ironic to full-throated. It's in my top ten Bonds, if not top five. I'll always remember that the VHS started with a moving tribute to Desmond Llewelyn set to "Nobody Does it Better." Great podcast, cool dudes! I really like Sophie Marceau in the movie. It's as if the concept was, what if the Bond girl was also the main villain. Plus, it raises the question of whether Bond has any genuine feelings for all these women he's been with, or if he's just, you know, James Bond. The "I never miss" bit is a great scene for Brosnan. I think his best Bond moments are when he goes into haunted-by-the-past mode, appropriate since his four entries so heavily emphasize nostalgia for the older ones. Also, this is the one with the X-ray specs! The most amazing thing about Session 9 is you actually don't want bad things to happen to Josh Lucas and David Caruso. Finally! Thank you Patrick as I was having the exact same thoughts about the comparison between Jake Gyllenhaal and Nicolas Cage, especially with Velvet Buzzsaw (a film I had a very mixed time watching, too polite to be satire and barely a horror movie, what even was it?) and his other Netflix-er Okja... But he is young and handsome so he'll get a free pass BUT Cage will always be the OG of those kind of performances and that is why I love him! Also another excellent podcast, man I love this place! Glad you like the video. I had a good time putting it together. Would love to hear you do a podcast on Licence to Kill with Gentleman T. Dalts. I thought re-watching this would be painful, but it was fun in a garbage kind of way. One of the weakest villains and #1 henchman pairings, but sat least it was an interesting take. Plus it has helicopters with chainsaws that makes 0 sense and yet I enjoyed it. 7/10! Great show! I'm actually a big fan of this movie, I think it's a ton of fun. However, I am one of the those people that thinks Christmas Jones is a problem with this movie, but I don't think it's Richard's fault either. Reason being, I think she is totally convincing as a very intelligent person in Starship Troopers. Not so here, which is why I think it's the way the character is written. Like you said, probably no one could do a great job with that part. However, Sophie Marceau has always been one of my favorite Bond girls. She is insanely cool. It's not like it takes a degree in Nuclear Physics to fly a starship. 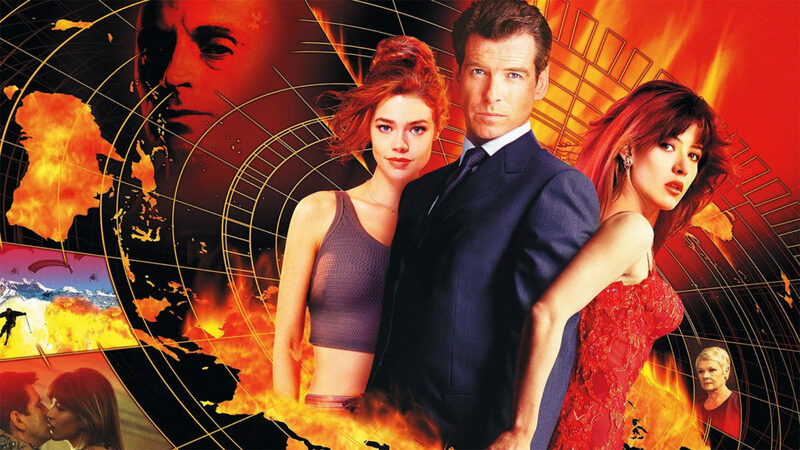 Tomorrow Never Dies is awesome and Michelle Yeoh is a top 3 Bond Girl for me. Claudine Auger from Thunderball is awesome too. For the next one, I'd say a Connery one too, but which one? I vote either Thunderball, Russia or You Only Live Twice. Surprising I found The World is Not a Enough to be a little bit of a chore to watch. It was never my favorite Brosnan Bond but ive always found the Brosnan Movies easy to watch just based on the fact that he's the Bond I grew up seeing in theaters. I didn't remember Denise Richards receiving so much hate for the movie. However she is pretty bad. Her delivery of lines is bland and she's not great with the physical stuff. I rank the Brosnan Movies best to worst in the order they order they came out. I don't think he uses The Walther PPk in this movie at all. Piercing's trailer had me so excited. Rented it the day it was released and could not wait for it to be over. It just was not for me. I felt every bit of that 80 minute run time. I did think it was a nice looking movie though. Velvet Buzzsaw which I watched immediately after watching Piercing didn't do it for me either. I think I enjoyed the art world satire more than horror expects. I think GhostBusters 2 had a scarier painting.